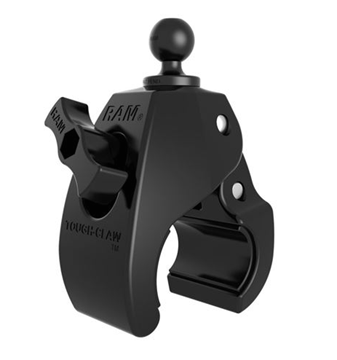 The RAM-B-138U-C RAM 1" Ball Flat Surface Mount with Long Double Socket Arm, 2.5" Round Base & Diamond Base from the RAM Mount Bases range is made up of a single 2.5” diameter circular base, built with the universal AMPS hole design. 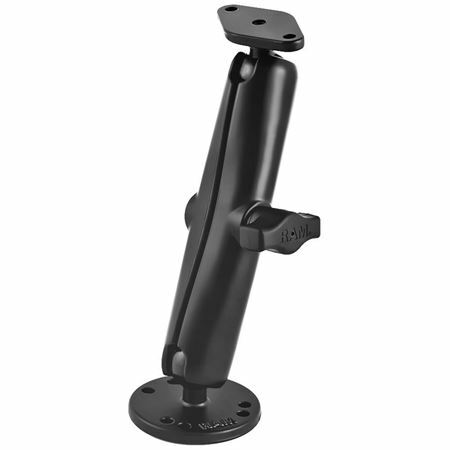 It is also made with a diamond base adapter and a long double socket arm. This mount has a 1” diameter adjustable rubber ball and socket system at each end of the arm, allowing you to maximize your viewing angles and adjustment possibilities.